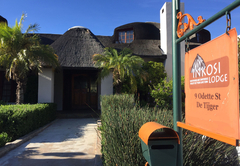 iNkosi Eco Lodge is a Parow Bed & Breakfast providing accommodation in 6 guest rooms for tourists visiting the Northern Suburbs region. 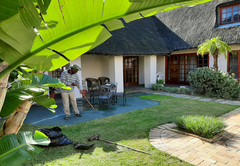 iNkosi Eco Lodge offers both tourist and business travelers a cosy and comfortable home away from home. 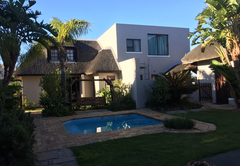 Nestled in the quiet suburb of Parow, iNkosi Eco Lodge is centrally located with easy access to the N1 and many destinations within Cape Town. 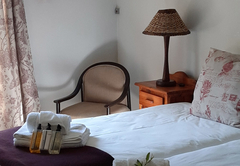 Our six rooms are spacious and comfortably furnished with either a double bed or two single beds which are made into twin Beds or a King-size bed. 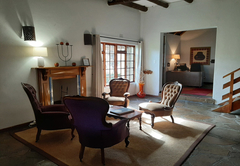 We have one large room to cater for a family with a King-size bed and sleeper couch. 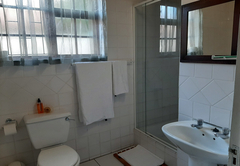 All rooms have en-suite bathrooms with a shower except our honeymoon suite that only has a large corner bath. The two bigger bathrooms offer a bath and shower combination. Bath towels are provided. Please bring your own swimming pool and beach towels. During your stay you can enjoy the amenities offered; tea and coffee station, your own flat screen television with DStv, free Wi-Fi or a refreshing dip in the splash pool or relax in our spacious lounge reading a book with soft background music. 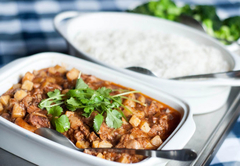 Meals are made with love and care in the kitchen at iNkosi Eco Lodge. Breakfast includes home baked bread, raw honey and homemade jam which compliments the delicious English breakfast. Lunches and dinners can be catered for if arranged ahead of time. Double bed, En-Suite Shower and Bath, Entrance from the Garden. Double Bed, En-suite Shower, Flat screen TV, DSTV and Wi-Fi. Single Beds, made up either as King size bed or 2 single beds, En-suite Bath. Single Beds, made up either as Kingsize bed or 2 single beds, En-suite Shower. Single Beds, made up either as king size bed or 2 single beds, Sleeper couch for 2 Guests, En-suite Shower and Bath. Spacious room with two single beds (or one king bed) and a double sleeper couch. Bathroom with a bath. Response timeiNkosi Eco Lodge typically responds to requests in 5-10 minutes. Early check in or late check out possible by prior arrangement and dependent on availability.